Eternity Rave Magazine Issue 1 December 1992 - It's all about flyers! THE FIRST EDITION OF ETERNITY MAGAZINE FROM DECEMBER 1992. ITEM IS IN VERY GOOD CONDITION. NO PEN OR ANY PAGES MISSING. GREAT PIECE OF HISTORY FROM THE RAVE DAYS. 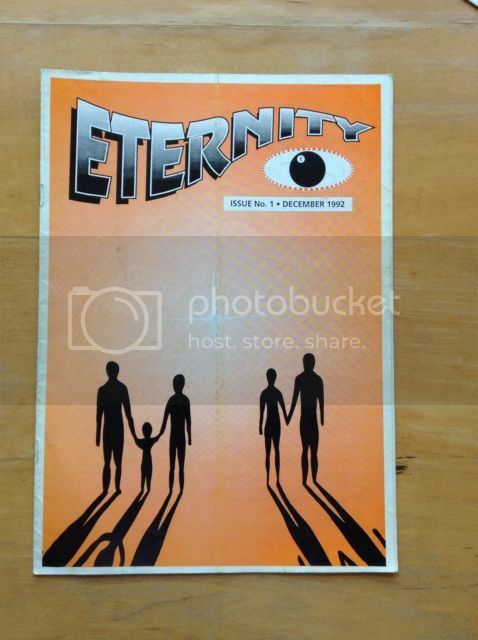 First issue of eternity magazine, very rare. In good condition no pen marks or pages missing. Has been lightly folded but not noticable other than slightly on front cover please see photo. I saw that you sold the 1st one for £31… A great price, considering the previous 3 sold have been between £5 and £10..